This is a sharp One Owner 2005 Toyota SR5 Crew Cab PreRunner Crew Cab! This truck is in great shape! Local Truck! Runs and drives excellent! Plenty of room for everyone in this truck with seating for up to 5 passengers! Very clean interior! Non Smoker! This is a 1 Owner local truck with a clean ACCIDENT FREE Autocheck Report! You will love driving this Tacoma every day! If you are looking for a reliable, clean, good looking truck you may have just found it! This Tacoma is powered by a strong and fuel efficient 4.0L V6 that is paired with a smooth shifting Automatic Transmission with overdrive! 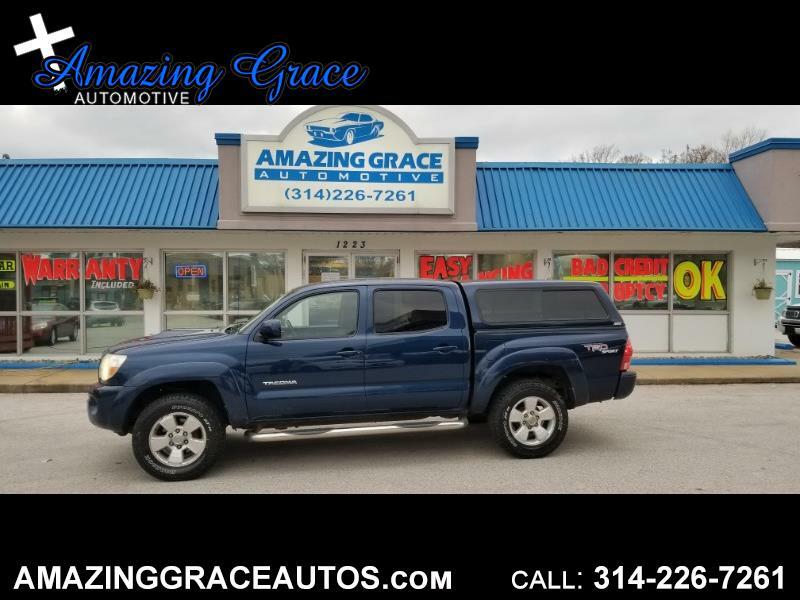 This truck has a lot of great features including: TRD Off Road Pkg, Chrome Wheels, Chrome Running Boards, Tow Pkg, AM/FM/CD/MP3, Traction Control, Stablity Control, 4 Wheel ABS Brakes, Sliding Rear Window, Power Windows, Locks, Mirrors, Tilt Wheel, Cruise, and much more!